Teriyaki - Though it was said to be invented in Hawaii by Japanese immigrants and paired best with chicken. We decided to see if the flavor was up to the challenge of meeting our beef jerky, You be the judge. I'm a huge fan of teriyaki but not beef turkey. I thought it would taste good but after I taste it I couldn't taste or I tasted were flavors. 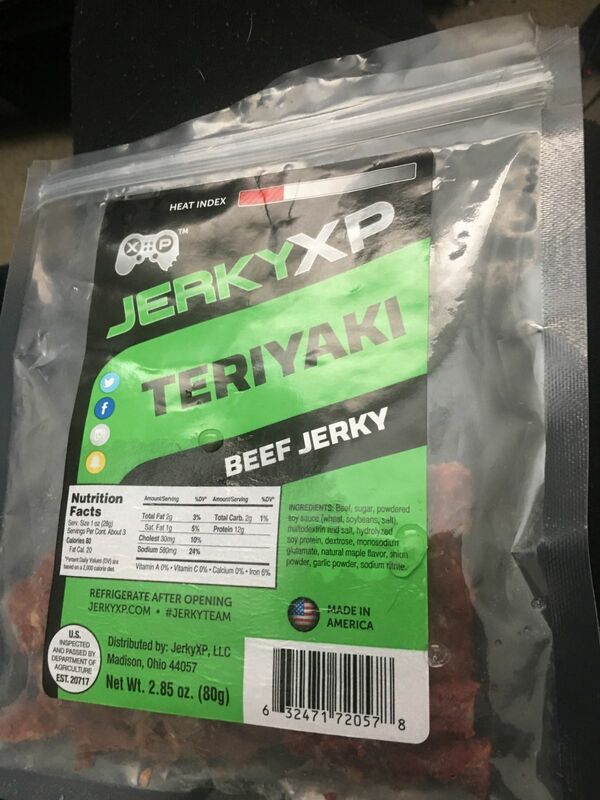 I have never tried beef jerky before and this was the first time i tried it. AND I LOVED IT. The flavors were very good, its a great snack, and also great for long gaming sessions.